Actor Ranveer Singh has been training with cricketer Balvinder Singh Sandhu to perfect his skills for his next film ’83. Ranveer plays the character of cricketer Kapil Dev, the man who led the winning team India in the 1983 Cricket World Cup. As reported by a daily, the senior cricketer is quite happy with Ranveer’ dedication. The actor himself revealed the same to the daily. The report also quoted a source close to the development of the film revealing how training under Sandhu is an added advantage for Ranveer since he was part of the world cup winning team. “Ranveer has been practising for two hours every alternate day with Balvinder sir. Since he plays Kapil Dev, he has to perfect the former skipper’s trademark outswinger. Balvinder sir has the advantage of playing alongside Kapil sir, so he has been helping Ranveer attain the pace bowler’s moves including his wrist action and bowling variations,” said the source. The source also said that when the actor is not doing the physical training, he is trying to know more and more about the matches played by the team in the tournament. “Post the physical training, the two often dissect the various World Cup matched to understand the strategies and techniques employed by the team against the respective opponents. 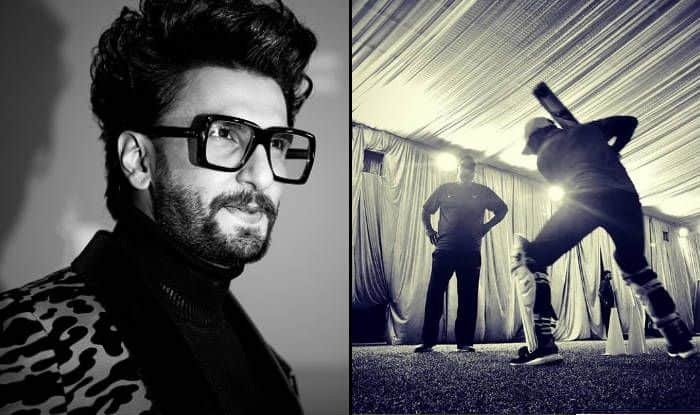 Ranveer’s cricket skills have improved leaps and bounds under his training, and Balvinder sir is happy with his efforts,” the report quoted. Director Kabir Khan and his team are also working on building a united spirit among the actors who are playing the members of the cricket team. For this, the cast will be moving to Dharamshala for 10 days to work on their bonding and on-field chemistry. Also featuring Saqib Salim, Ammy Virk, Pankaj Tripathi, Sahil Khattar, Hardy Sandhu and Tahir Raj Bhasin among others, ’83 is set to hit the screens on April 10, 2020.